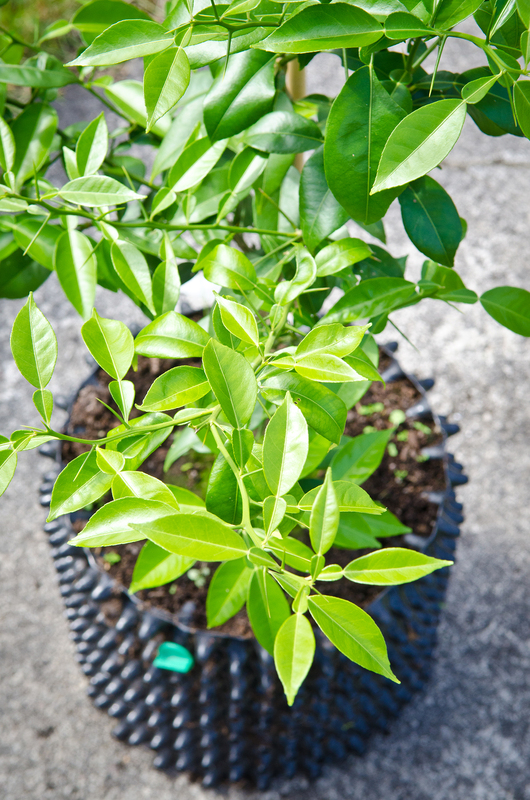 It is heartwarming to see the healthy state of this unusual citrus plant in an Air-Pot container. Citrus can be tricky to grow, so I have always resisted the temptation to get the more common types. Yuzu is one of the most cold hardy citruses so I thought it was worth a try. It is thought to have originated as a wild cross between the Far Eastern varieties Ichang Lemon and Mandarin, and is highly valued in Japan. The fruit is thick skinned and full of large seeds, but the small amount of juice from the fruit is intensely lemony, and the flavour survives cooking well. The thick zest is also a useful ingredient. 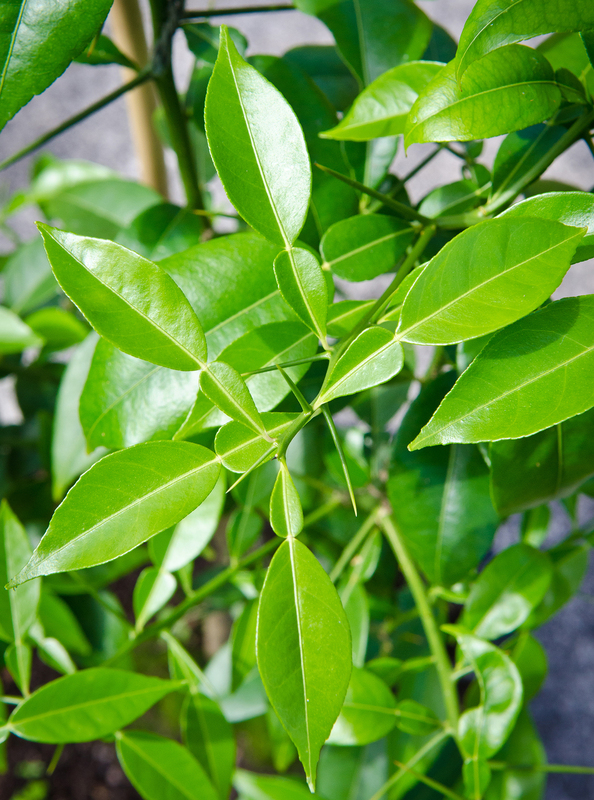 My plant (from Plants 4 Presents) is grafted onto the roots of a very hardy citrus relative Poncirus trifoliata. It coped with winter in an unheated greenhouse in Scotland and since being potted into an Air-Pot has shot out lots of new growth. The Air-Pot container filled with gritty compost ensures good drainage. It can go outside in the summer and eventually will stay outside permanently , perhaps with a wrap of horticultural fleece during exceptionally cold spells.